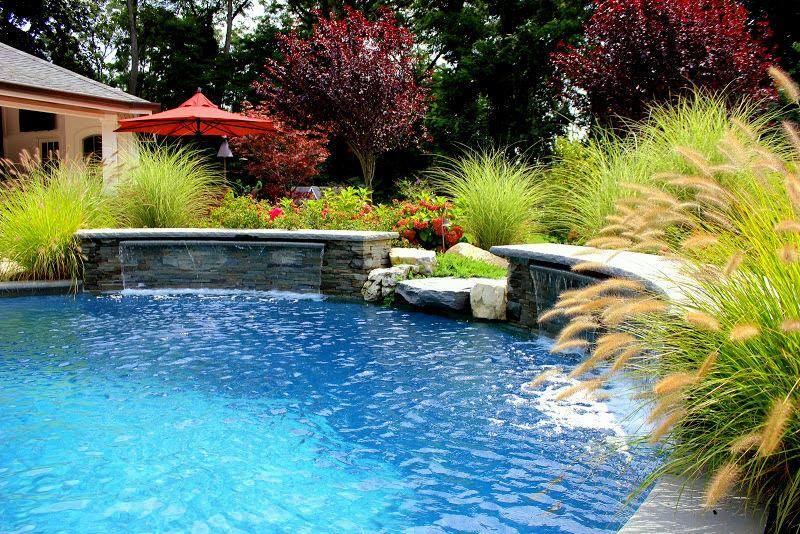 Green Island Design often selects ornamental grasses for its landscape designs in order to add grace, movement and provide wonderful all-season interest. Fountain Grass is an ornamental, drought-resistant grass which grows 3-4 feet high. It is known for its wispy green foliage in summer which turns to golden-rust with fluffy, buff-colored plumes in early fall. Maiden Grass ‘Morning Light’ is another form of upright grass with narrow green foliage edged in creamy-white, which grows to a height of 4-6 feet with coppery-pink plumes also emerging in fall.